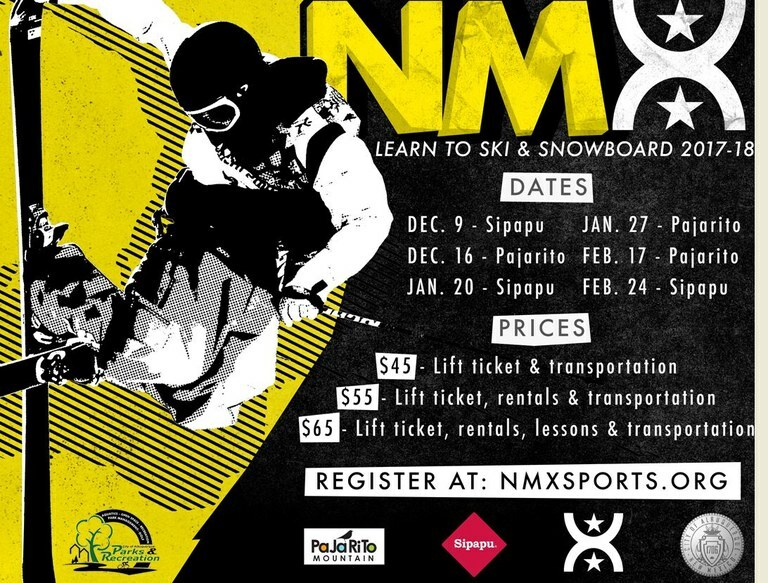 Join the City of Albuquerque Parks and Recreation Department and NMX Sports this winter for the chance to learn to ski or snowboard! 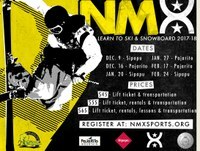 Our partnership with NMX provides youth with the most inexpensive and convenient way to get out on the slopes and is appropriate for children of all skill levels. Whether this is your first time, or you just need rentals or a lift ticket, we provide the option for you. The group meets at Warehouse 508 (508 1st St NW, Albuquerque) at 6 am, heads out to the slopes at 6:30 am and returns at 6 pm. Transportation is provided by the City of Albuquerque Outdoor Recreation Division. The mountain resorts provide the lessons via their ski school professionals, and NMX Sports organizes all the fun and provides their trained Xtreme Leaders for supervision. Trips are open to youth ages 11-17. Pick your date, mark your calendar, and prepare yourself for a winter of fun! Spots fill quickly!